Birdman and Lil Wayne have officially declared war … settlement talks have broken down and Wayne will now sue his mentor, claiming among other things Birdman owes him $8 million. As TMZ reported … the 2 titans tried coming to terms this week but it wasn’t meant to be. 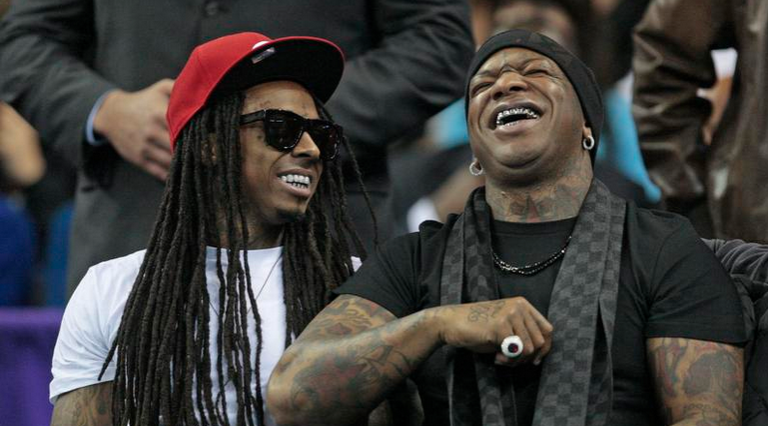 Now Wayne will ask a judge to declare him free of Cash Money and Birdman’s control. Wayne says Birdman has violated their contract by withholding the release of his new album. As for the $8 MIL claim … Wayne says Birdman owed the money for his latest album — it was supposed to be an advance. Birdman has held firm … he will release the album “in due time,” but clearly that’s not good enough for Wayne. We’re told Wayne will keep recording but he will release his works outside of the Cash Money umbrella. We bet Wezzy won’t need an umbrella when it’s time for Birdman to make it rain 8 million times. This entry was posted in Gossip and tagged Am Caffeine morning show, Atlanta, birdman, cash money records, Lil' Wayne, Weezy. Bookmark the permalink.